Browse the latest new homes by Crest Nicholson nationwide. Its property portfolio ranges from one-bedroom apartments to five-bedroom detached houses, each of the highest quality, and suitable for all types of buyers, from first-time buyers, growing families, downsizers, and even those looking to invest in buy-to-let properties. The housebuilder is aiming to be the market leader in the design and delivery of both sustainable homes and mixed-use communities. Over the years, the company has won numerous awards for its developments. In 2017, it took home Gold in the WhatHouse? 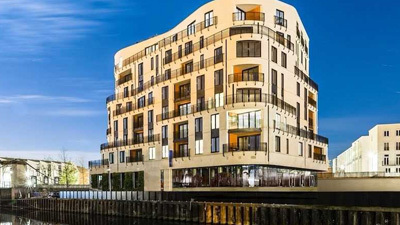 Awards for Best Development and Silver in Best Luxury Development for its Bath Riverside scheme, and its Bristol Harbourside project won Bronze in Best Mixed Use Development category. Crest Nicholson has a number of incentives and offers for those looking to purchase a property, including Help to Buy, Part Exchange and SmoothMove, where it will help you sell your current home, and even pay your estate agent fees. Since 2005, Crest Nicholson has supported Variety, the Children’s Charity, raising over £1m for the charity. Choose a Crest Nicholson development in this area.